There is no doubt that in last decade or so Misal has gained immense popularity with Misal joints mushrooming everywhere in and around Pune .But not every Misal is liked. There are people who judge Misal on its spiciness, there are some who like Farsaan while there are some who believe real Misal has sprouts ( matki usal ) , Pohe, Potato and some amount of Farsaan. And then there is a debate whether Puneri Misal is better or Kolhapuri . But forget that , head straight to Lonavala , pass the main chowk on old Pune Mumbai Highway and take a right turn in a small arterial road towards Fariyas Hotel and come straight to Buvachi Misal .This place is without doubt one of the most famous spots in Lonavala off late . Not much on the menu , but Misal , vada pav , Kanda Bhaji and Tea is enough to make your day . The Misal comes with a thin medium spicy tarri ( gravy ) , and to add to the crunch, it is served with Onions , Tomatoes with green thecha and Pav . 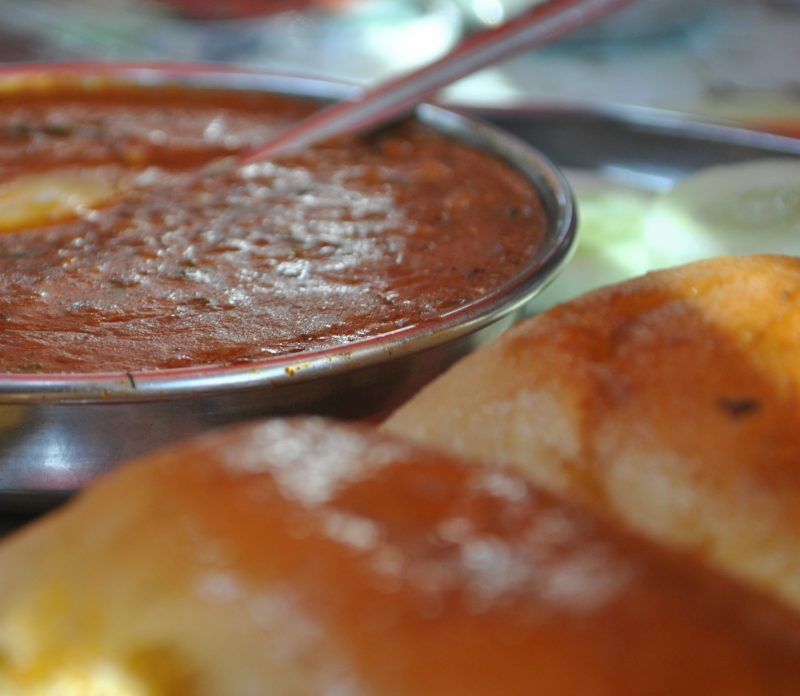 While this place is famous for Misal , the other small plates – Kanda Bhaji ( Onion fritters) and Vada Pav are also good. End it up with a refreshing tea and your day is made. The place is a small eatery with a seating place inside and a veranda seating with a glimpse of the expressway. Pricing really is not an issue . Although the place is full almost at every time, the staff and the owners do manage it efficiently and the service is quick. I do have friends who say they are off to Lonavala ..for this Misal !